The resort bar is at the guests’ disposal for breakfast, lunch, a cocktail by the pool or an evening aperitif. The bar offers an outstanding service to the guests who choose to have lunch at the resort or enjoy a pre-dinner snack and cocktail. Located by the pool, in the evening it is the perfect sport to enjoy the entertainment organized by the resort staff. The S’Incantu Resort boasts a 270 square meter swimming pool, perfect for adults and children, and equipped with beach umbrellas and sun loungers. The Kids & Young Club at the S’Incantu Resort is designed for your children: they will be able to play and have fun thanks to an entertainment team for children and teen agers. Discreet and unobtrusive entertainment, perfect for families but also for those who love peace and quiet. The swimming pool too has a dedicated area for children. For those who love diving, the splendid sea of Villasimius and the Capo Carbonara Marine Area are a true slice of heaven. With the instructors and guides of the Acquaman Diving Center you can visit the most amazing and interesting diving spots feeling totally safe and relaxed: relicts, Spanish ships, tropical fish and delving into a transparent and crystal clear sea. 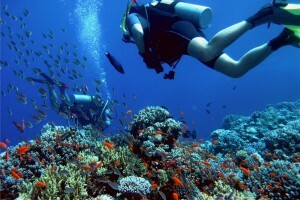 The Diving Center organizes several diving courses, tours and excursions, rents all the necessary equipment and carries out different types of underwater works. 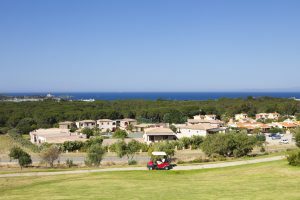 About 100 meters from the S’Incantu Resort you can play Golf in one of Sardinia’s most beautiful courses. Golf Tanka is a 18 hole par 70 course, designed by Luigi Rota Caremolli inside a gorgeous scenery by the sea. Imagine trying your swings by the sea near Campulongu beach… a dream that few locations can make come true. Less than a kilometer from the S’Incantu Resort it is possible to book a wellness treatment at the nearby Timi Ama Wellness Center. Wellness treatments and thalassotherapy are the main specialties of this center that makes full use of the therapeutic properties of sea water. The Thalassa Sea & Spa gives you the opportunity to relax in the marine tub with panoramic view, in the jacuzzi o in the chromotherapy booths. 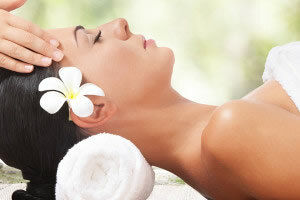 You can book a complete ‘Remise en forme’ treatment. About 100 meters from the S’Incantu Resort is the Horse Riding Center of the Tanka Village. You can enjoy horseback riding, lessons for children and adults, and organize riding tours and excursions on the beautiful beaches and hills around Villasimius. Horseback riding on the beach at sunrise or sunset are unique experiences that, in Sardinia, are in everyone’s grasp. 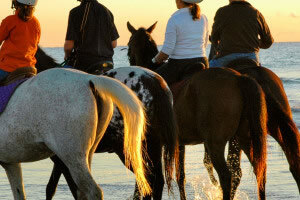 The S’Incantu Resort staff will be happy to organize for you tailored excursions and horse riding tours.